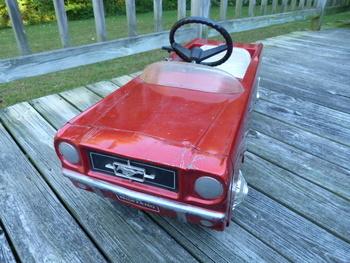 In Model Cars > Pedal Cars > Show & Tell and Classic Cars > Ford Mustang > Show & Tell. Made a worthwhile trip from Mass. to Maine consisting of 6 hours and 340 miles round trip to get this all-original late '60's AMF Mustang from its original owner. 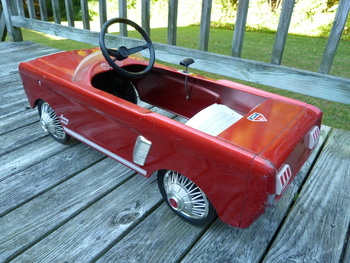 Very difficult to find a model 535 with all the original accessory pieces, such as the windshield, pony grille emblem, side quarter scoops, hub caps, seat pad, tail lamps, etc. 1960's Mustangs came with lots of "stuff" and while you may find the car itself, you rarely find them with all the original "stuff." 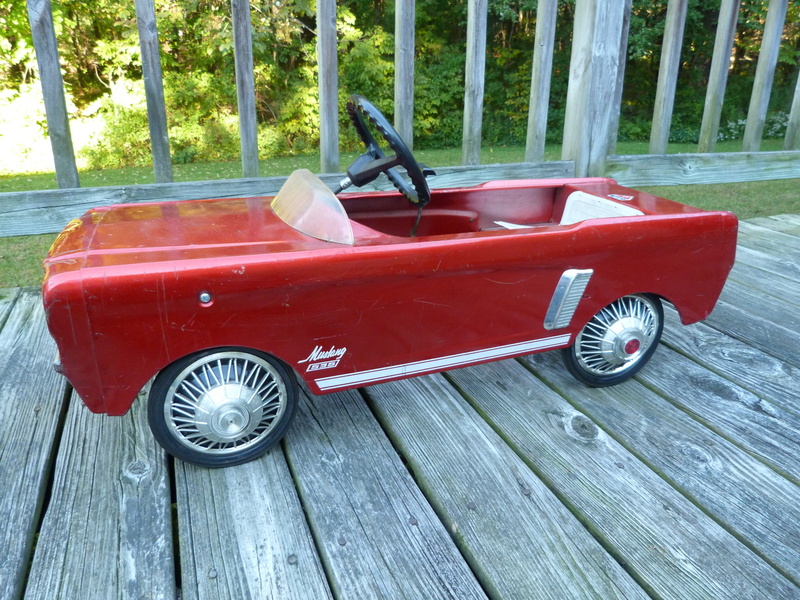 One of the coolest pedal cars ever! Thank you to all for the "Loves." 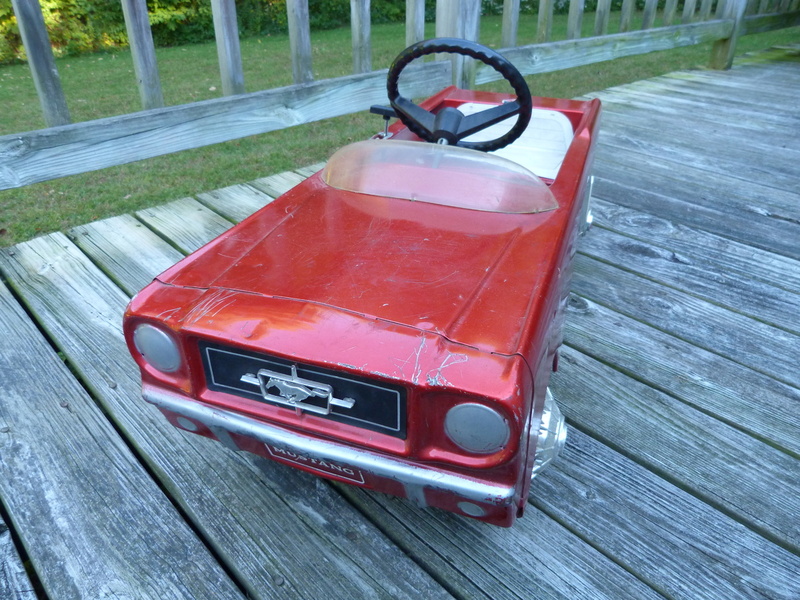 I suspected the pedal car people as well as Mustang folks would appreciate. Really nice. Well worth the trip. I had a blue pedal car as a child. Thanks for the pic.